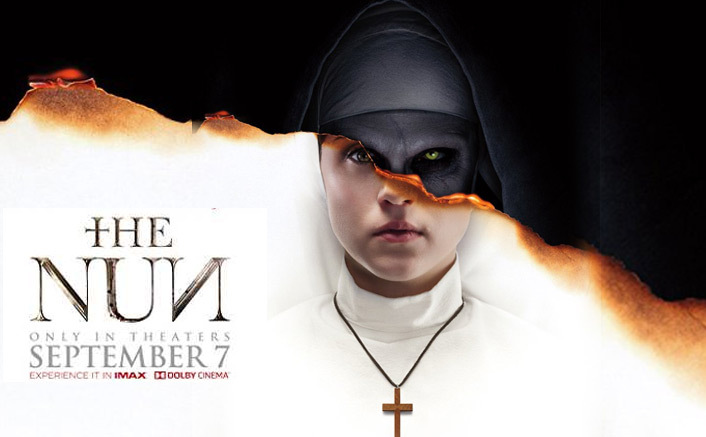 Home Hollywood Review The Nun Movie Review: A Good Looking Not-So-Scary Flick! Director: Corin Hard The story starts in 1952 in St. Carta of Romania. As the title goes, we see couple of Nuns going to attempt an exorcism kind of things out which one attempts suicide. Body of the nun gets noticed by Maurice aka Frenchie, a French-Canadian farmer enjoying his vacation in Romania. The Vatican team sends Father Burke (Demian Bichir) to investigate the suicide who is joined by an aspiring Nun Sister Irene (Taissa Farmiga). Sister Irene, Father Burke & Frenchie explore various Gothic happenings in the church. They go on a mission to trap the evil inside the church & not let the outside world affected by it. Facing various ghostly activities, the trio back each other in order to stay alive. In a finale, our three leads get exposed to the real monster & how they face it is what the movie ends it. 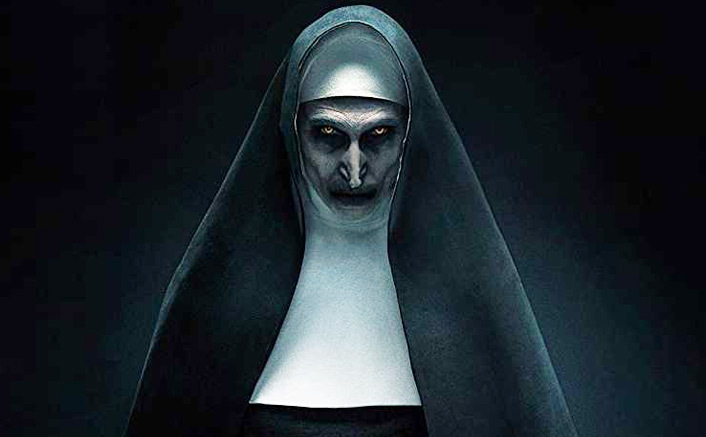 Also, it obviously has an open ending which very much shows how The Nun 2 will arrive. Gary Dauberman has penned the story getting some of the annotations by the monster-writer James Wan. Story isn’t as bad as the execution of it’s. There aren’t enough scares or even thrills for a horror film. That’s where it lacks & hence it’s just a well made film not a well made horror film. A serious question to every director who has made a horror flick – what’s your obsession with the darkness? I mean, yeah, dark evokes more fear but it also evokes more perplexity even to a good scene. That’s what I loved about IT that how it dealt the horror in a broad daylight & there’s where it won. The Nun has many such scenes which deal with darkest shade of black & hence lessening the impact. Taissa Farmiga as Sister Irene is the best thing about the film. She delivers a sincere performance & lives up to the expectations. Even in the horror scenes she doesn’t leave her grip delivering balanced scenes. Demián Bichir as Father Burke is good. His accent is a drawback to his performance but visually he plays the role of a father with controlled expressions. Jonas Bloquet as Maurice ‘Frenchie’ Theriault brings in the comical relief to the film. His character graph gets enough scope to fluctuate & he strikes the right chords. He has a very important scene towards the end which hints at his return. Corin Hardy manages to lay down a good-looking horror film. Only if he had brushed up the story towards the edges, it could’ve been this year’s IT. Corin impresses with his skills and hence should be retained for the future installments in this series. Abel Korzeniowski, who did an outstanding work in Nocturnal Animals falls a bit short in this one. The background score is good at the places it’s required but it’s very bland at rest of the times. All said and done, lack of horrific elements and moments for which such movies are known for make this one a very average watch. Skip if you hated Annabelle series and loved Conjuring, watch if you loved both. Previous article6 Years Of Varun Dhawan, Alia Bhatt & Sidharth Malhotra – Here’s An Analysis Of Their Current Standing In The Industry!